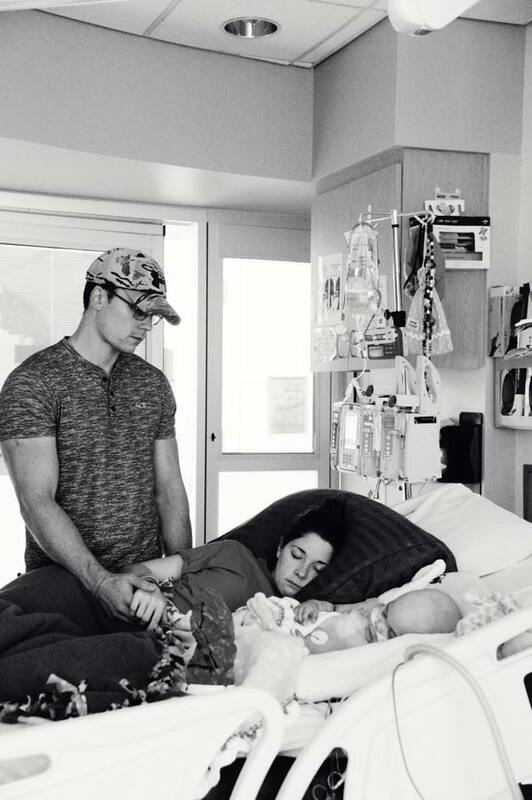 During this difficult time her mother noticed a special nurse try so hard to go unnoticed as Shelby watched. 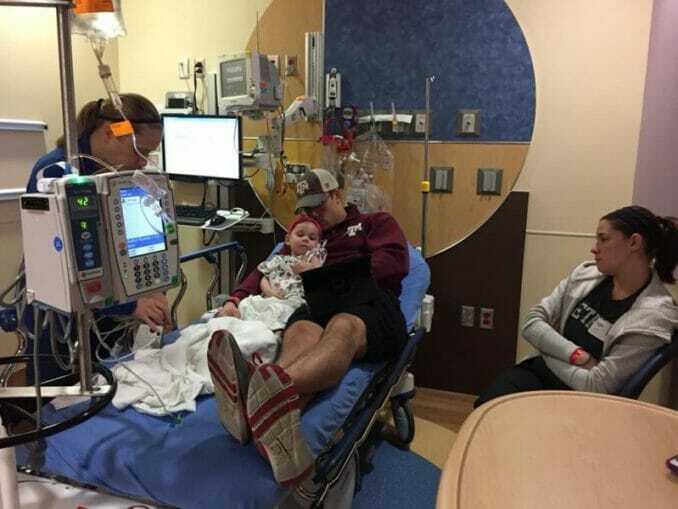 While the nurses back was turned she she took a picture and posted on a Facebook page that the parents had created to document Sophie’s fight against the disease. Mom Shelby writes:“I see you. I sit on this couch all day long and, I see you. You try so hard to be unnoticed by me and my child. 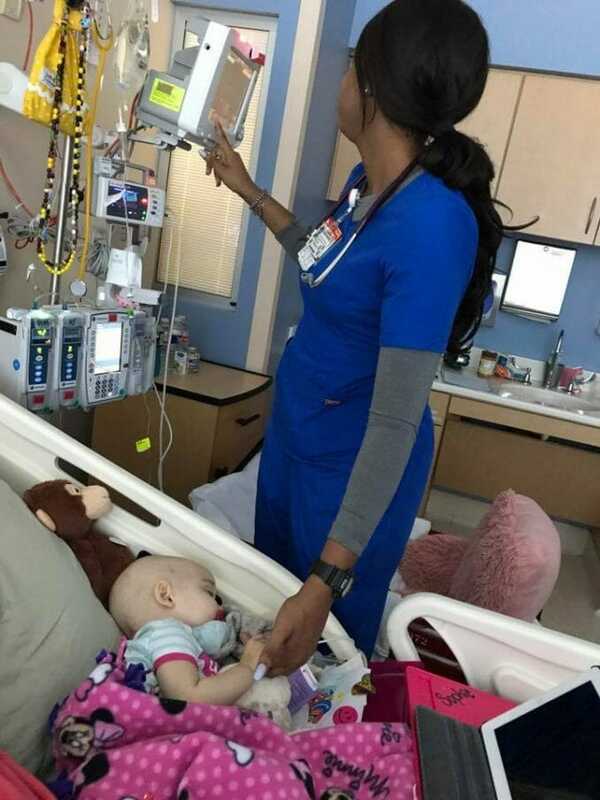 Not only did Shelby’s heartfelt message touch the nurses she wrote the post for, but also other parents who had similar experiences and also saw that the nurses are the backbone of the peadiatric unit. 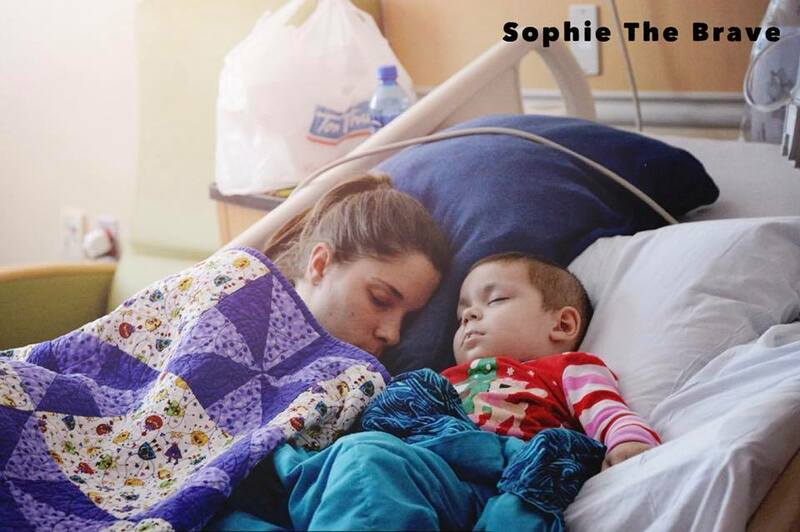 Sadly, Sophie never got the opportunity to grow old and say ‘thank you’ to all the nurses who fought to keep her alive. 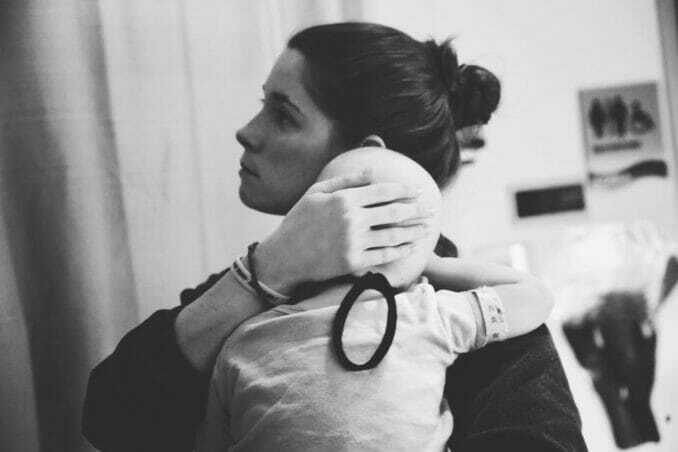 Eventually Her tiny body just couldn’t handle all the treatments and the aggressive cancer. 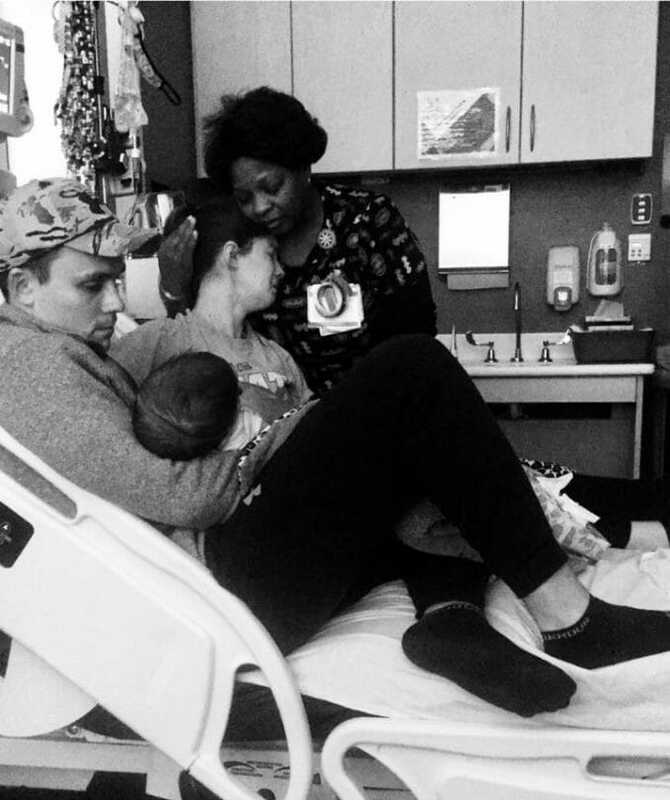 On December 22, 2017 she relapsed and the family decided to withdraw treatment. 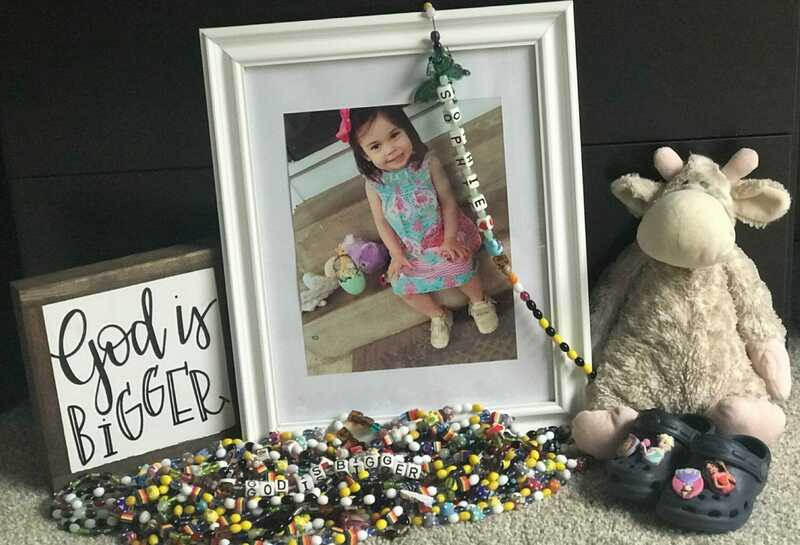 Sophie passed away in their arms on January 4, 2018 as her parents Shelby and Jonathan lovingly cuddled, read, sang, watching movies with her. When my son came up to you and grabbed your arm, you didn’t know he used to be terrified of people. When he talked to you about the bulls, you didn’t know he was diagnosed with a language disorder. When he jumped in your lap and laughed as you tickled him, you didn’t know he had a sensory processing disorder. You also didn’t know as his mother, I sat in my seat, with tears running down my face, sneaking this photo. When we adopted him a few short months ago, we didn’t know how long it would take for him to laugh, play and engage others like this. 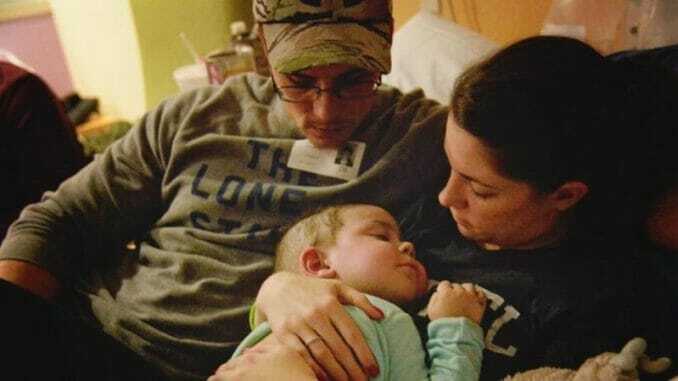 You didn’t know any of this, but you took time to connect with a child who has had to fight to learn to connect. My heart is full. Thank you.